I have a thing for tartines. You know, open-faced sandwiches. Am I alone in this? They are so elegant and let’s face it, most sandwiches have way too much of a bread situation going on. Usually, the best part about any sandwich is the filling, and with tartines, the filling gets the spotlight. Without sounding like a broken record (blah), I had an amazing fresh fig, goat cheese, and caramelized onion tartine at Maison Kayser in New York City, and have been thinking about it ever since. It was on the best bread known-to-man (ok, bread definitely matters) and it was the perfect epitome of “sweet ‘n savory”balance. This tartine has a lot of the same good stuff going on in it. Unfortunately, the East Coast is lame (or the Washington, DC area is lame), and fresh figs have all but disappeared. 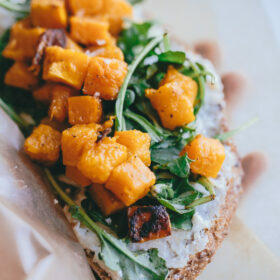 It’s ok though, because that frustrating situation resulted in me creating an entirely different tartine recipe with a much easier to find and way more wallet-friendly ingredient: butternut squash. All you need is a sharp knife, a steady hand, a little bit of faith, and a cheap vegetable peeler. 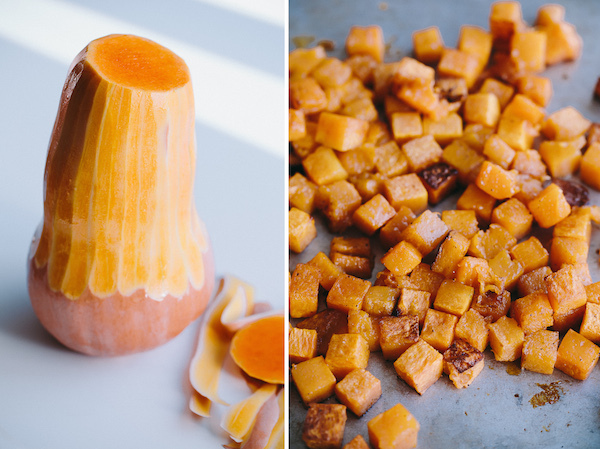 The butternut squash is cubed, and roasted until it is soft and slightly caramelized. You could easily saute and caramelize it in a large pan on the stove-top, but that requires attention, and since you are already heating the oven to roast the garlic, roasting is easier. Helpful Tip: Buy butternut squash with a long neck, and relatively small base if at all possible. I prefer the neck of the squash (weirdest statement ever), because it is much easier to slice and dice, and does not get stringy once cooked. Oh, and that roasted garlic goat cheese?! Only the best thing ever. It is essentially soft goat cheese mixed with an entire head of roasted garlic. No joke. It is basically goat cheese on crack. The possibilities for it are endless, and I plan on exploring all of them. Don’t be stingy with this stuff! Spread it on thick. On top of the goat cheese, you’ll want to add a nice pile of baby arugula, which is lightly tossed with the teeniest amount of balsamic vinegar, which adds the slightest hint of acid. The arugula adds that perfect peppery punch. I loved this on a very grainy, dense bread that I toasted and allowed to cool, so that it had a nice crunch, but feel free to substitute it with a softer, just slightly toasted french boule or very good-quality baguette. It would be just as tasty. Ok, gotta go and make more roasted garlic! You know, priorities people. Roast Garlic: Preheat the oven to 425 degrees Fahrenheit. Slice the top of a head of garlic off so that the cloves are exposed and gently rub your fingers back and forth over the sides to remove as much of the paper as you can. Drizzle the cloves with 1 tablespoon of the olive oil, and wrap the head tightly in aluminum foil. Roast the garlic until the cloves are caramel in color, about 45 minutes. Allow the garlic to cool completely before squeezing out the cloves. Set aside. Roast Squash: Meanwhile, chop the butternut squash into a 1/2″ dice by peeling the squash with a vegetable peeler. Trim the bottom and top of the squash with sharp knife. Using the neck of the squash only (if possible), slice the squash horizontally into 1/2″ thick large slices. Chop each slice into 1/2″ matchsticks, line the matchsticks up, and proceed to chop them into a 1/2″ dice. Toss the diced squash with the remaining tablespoon of olive oil and place on a large baking sheet. Season with salt and pepper. Roast the squash (at the same time as the garlic, preferably, to save time) at 425 degrees Fahrenheit for 20-30 minutes, tossing and flipping the pieces with a spatula 2 to 3 times throughout the cooking process, or until the squash is cooked through and lightly caramelized. Remove from the oven and allow to cool until lukewarm or cold. 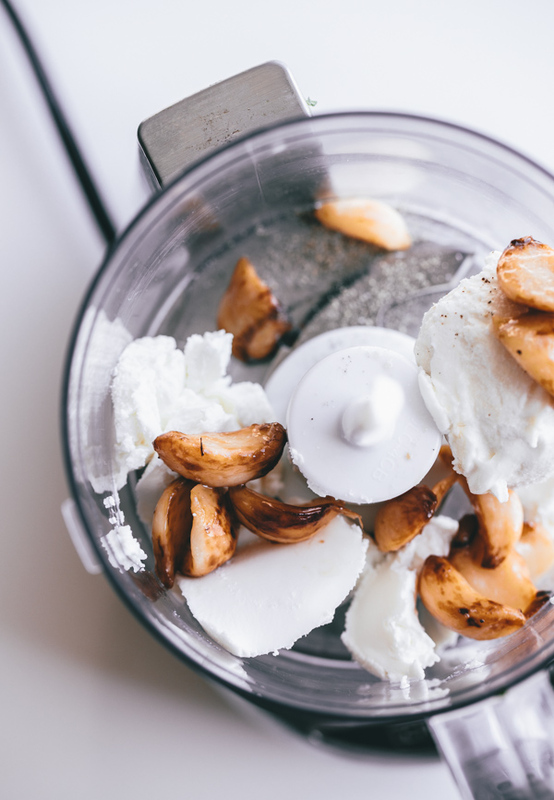 Using a small food processor, combine the goat cheese with the roasted garlic cloves. Pulse until well combined (if you do not have a food processor, you can finely chop and mash the garlic cloves with a fork, and just mix in a bowl). 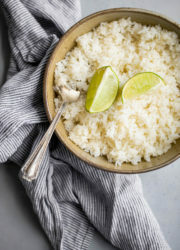 Season mixture with salt and pepper. In a small bowl, toss the argula with the balsamic vinegar until just lightly coated. Toast the bread slices in a toaster (or broiler, watching carefully). Allow the toasted bread to cool completely (otherwise the goat cheese will melt). Spread a thick layer of goat cheese onto each slice of bread. 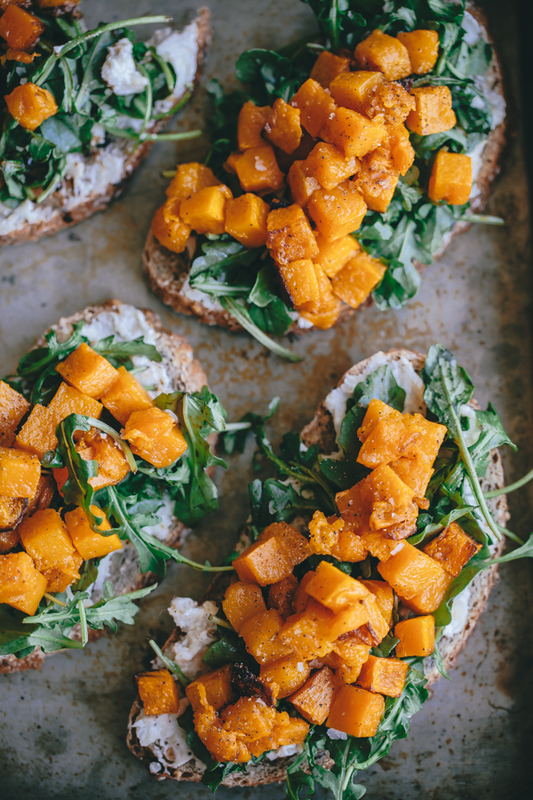 Top with a handful of arugula, and then a large spoonful of roasted butternut squash. Sprinkle the tops of each tartine with Maldon or fleur de sel salt. Serve immediately. This post contains an affiliate link to my Amazon store! If you buy a peeler (or something else! ), I’ll get a few pennies, which will help me continue to produce content for this site. Thank youuuuuu! Tartines are THE BEST, especially when they have a ridiculously delicious filling like this one. I lived across the street from a Kayser bakery this summer, and have been spoiled for life since! Glad I posted this version too! Thanks Shelly! I need to make this asap. Totally with you – tartine’s are so much better! 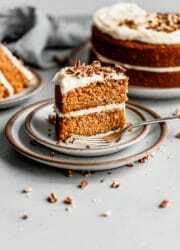 I don’t even like butternut squash (I know, it’s my one bad foodie thing), BUT I bet I would scarf this down! The garlic goat cheese is my dream! I made a tartine sort of similar last year, BUT yours looks a million times better. 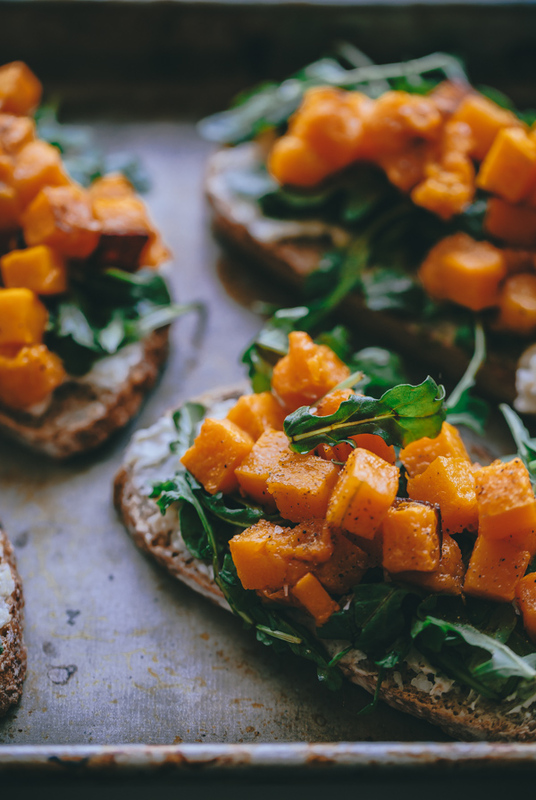 Tartines are the best and anything with butternut is a win for me! I’m sure that’s not true, but thank you Tieghan! Mine too! Just in love with those biscuits you posted too, so creative Erika! Oh, holy heavens! 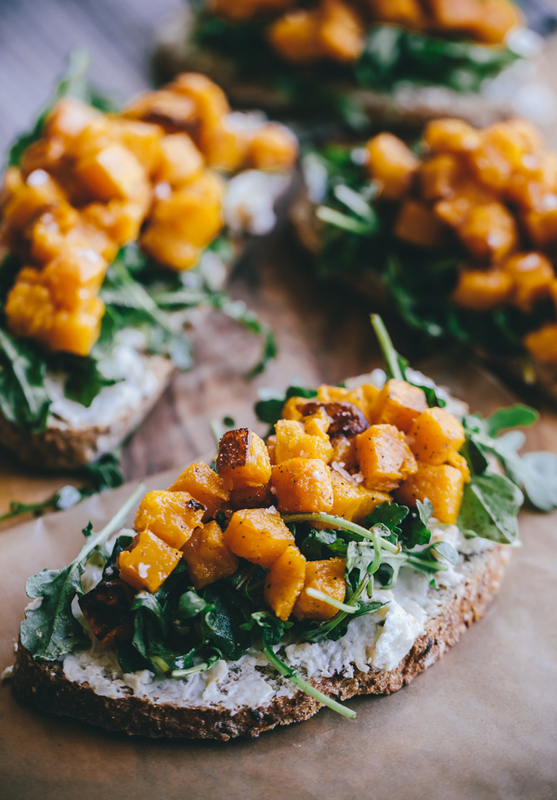 Tartines are just the bomb diggity and you have nailed it with roasted butternut squash. High-five! mmmm, the roasted garlic goat cheese sounds particularly good!!! I’ve been sticking butternut squash in as many dishes as possible lately! These look so good! This is my first butternut squash recipe of the season! Believe it or not! Oh my gosh where do I start? 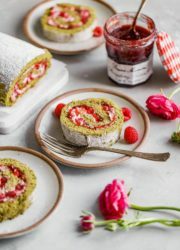 This reminds me of Paris and I have to make them! I had goat cheese toasts when I was there and I never have forgotten them. AND my husband is on a butternut squash kick. Love these!! Thanks Dorothy! Oh my gosh, on a completely unrelated note, I was just imagining you sitting at your keyboard, manually deleting the “+” signs that probably popped up when you tried to leave this. Gahhhh! YUM! This looks awesome. The goat cheese looks amazing. Can’t wait to make this. Love your blog and design. Thank you so, so much! That means a lot Jeni! 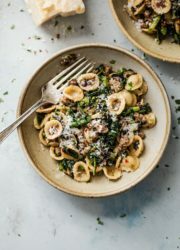 I love every single ingredient in this dish! And it is beautiful. Pinned. this reminds me a lot of a bruschetta I had at Sylvain in New Orleans this spring. Instead of arugula, they used kale pesto. I’ve been meaning to recreate it ever since. And I totally agree that Eric Kayser bread is the best known to man!! Oh my goodness, THAT sounds fantastic! Kayser bread is amazing! 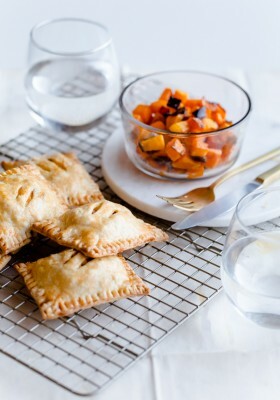 This looks like the perfect fall meal! What are anyone’s thoughts on subbing another cheese for goat cheese? The colors look great together, I cant wait to make this. I actually think a whipped feta would be delicious as well! Or ricotta! I think a sliced cheese wouldn’t work quite as well with the butternut squash though 🙂 Thanks Elise! Tartines are my favorites!! I love the flavors of this one! Such a smart tip on buying long neck squash…I totally agree! I always find dealing with the base so annoying. This goat cheese….I want to eat it on everything….so amazing! Thanks Kelli! I think it is one of those things I’ve always done, but never really thought about until I wrote this post, haha! Funny how that works. And oh my gosh, I am totally screwed if we end up in NYC. I would be at Maison Kayser everyday. GORGEOUS!!!! 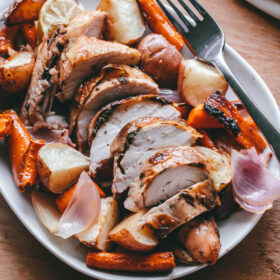 I’m kind of mad at you right now for posting a recipe with an entire head of roasted garlic though – it’s one of my absolute favorites and well… Breastfeeding and garlic don’t mix. But I’m definitely bookmarking it for next fall (and mental note to self: remember to actually make it then!). Oh no!!!! Sorry! I forgot about that. Ok, I have solutions: you could either do straight goat cheese (or finely chopped chives, does that work? ), other herbs, or maybe something spicy, like harissa? Okay! This sounds incredible! Especially the roasted garlic goat cheese…only problem is, I don’t like goat cheese (ha!) – what would you recommend as a substitute -because I must make this beautiful sandwich! Nice! Oooh, I totally get it. I feel like it is either a love or hate thing. 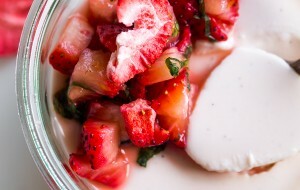 I think it would definitely work with a whipped feta (just put feta in a small food processor!) OR a nice ricotta (preferably whipped as well). Hope that helps! Yes! Such a pain! Removing squash seeds is one of my pet peeves, haha! I’m totally with you on the sandwich thing – too much bread! It’s all about the fillings 🙂 and this combination sounds incredible – especially with a whole head of garlic in the goat’s cheese! Amazing! This looks sooooo good! And I agree…most sandwiches have way too much bread and I always hurt my mouth trying to eat them! Toasts are so much better. And this one has all my favorite things! Delicious! You are so not alone- tartines are the bomb! Definitely fancier than a plain old sandwich. 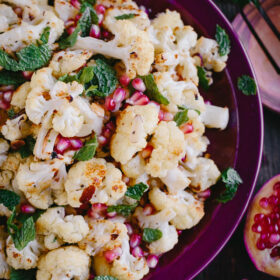 This looks so yummy and reminds me of a really similar flatbread I’ve made for clients in the past with ricotta, roasted sweet potato, arugula and pomegranate seeds! But I bet that roasted garlic goat cheese really amps up the flavor, well done! This looks delicious! I like the open face without one more piece of bread. And goat cheese with garlic? Delicous. Thanks for the recipe! I 100% prefer the tartine to the sandwich! Although, if we’re talking Maison Kayser bread, I will probably eat the tartine with an extra bread slice on the side. Priorities. 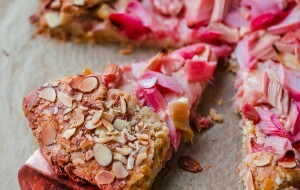 THIS TARTINE TOPPING. Big need. These look so good! Anything with roasted garlic and goat cheese has my attention, too. Beautiful. Just stumbled across this!! oh my gosh! 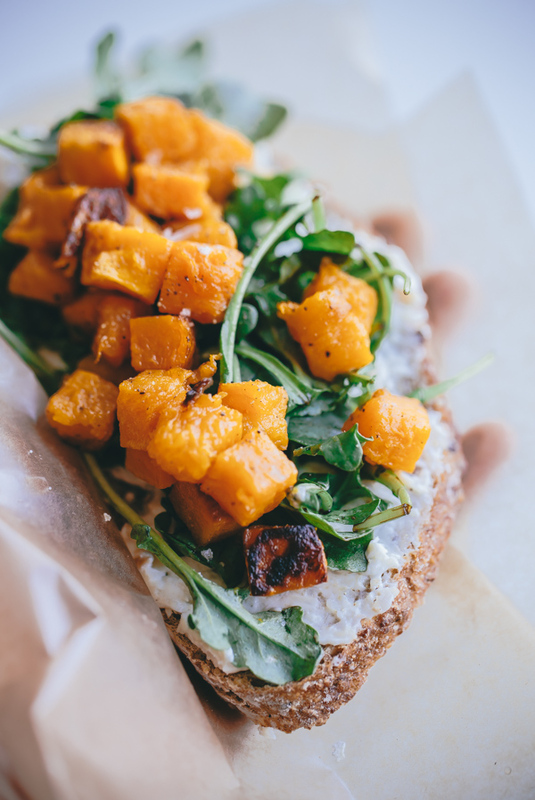 butternut squash + goat cheese + arugula?!! some of my fave things and the perfect fall app! love love love and pinned! Just … wow. 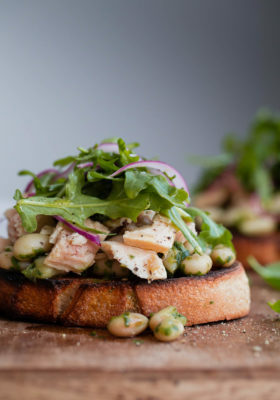 I love every single ingredient in this tartine. Oh,I read this post off a link from pinterest and so gladc I did! This is exactlhy the kind of food my husband and I like to. cook and eat. Thank you somuch in advance for the many memorable eating moments I foresee coming out of your blog. –your ode to garlic above tips me off to our true kinship…I make a hummus that was once described by a novice as “garlic slightly seasoned with chickpeas.” Which I took as great compliment! We inhale the stuff. A possble tip on butternut prep…I slice the thing horizontally first into the thickness I want the cubes, then peel the thin rounds with a sharp paring knife. Incredibly easier in my opinion than peelig it whole. Never met anyone else who does it this way though. But it’s worth a try! 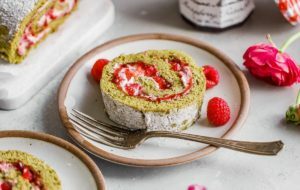 Again, beautiful job with this recipe and photos. Can barely wait to try it. how well will this hold up if I made it beforehand for my dinner party? Hey Aubrey! How far in advance? If its just a half hour to an hour, that should be fine (make sure your bread is nice and toasted, as it will hold up better). You can absolutely make the goat cheese in advance (it should be at room temperature for spreading though)! Does this help?